“This is a brilliant book, brimming with significant insights incorporated into a lucidly developed phenomenological account (as the subtitle says) of the different perspectives of physician and patient on the meaning of illness. As to the relevant interests of Ed Ballard, this work admirably follows Ballard’s “ironical” in- junction in Man and Technology to think along the crossroads of technology and the humanistic tradition of caring for the significance of the unique individual, adopting as its stance neither technolatry nor technophobia. 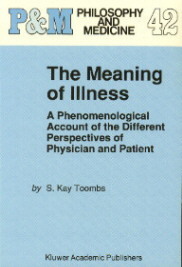 In this case, specifically, Toombs attempts to account for, and to suggest ways of remedying, the systematic gaps in understanding illness between that of the patient, based upon unique lived experience, and that of the physician, based upon abstract scientific conceptualization. 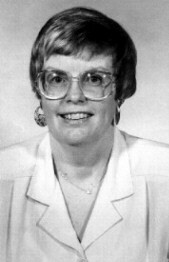 Her account is consistently phenomenological, involving such typical themes as the correlativity of noetic and noematic aspects of meaning, horizons of meaning in the temporality of lived exper- ience, the lived body, and various (e.g., individual and common) aspects of the presupposed life- world, as well as, centrally, the ongoing assumptions of reversibility of standpoints among individuals and of congruence of relevant interpretations, assumptions which facilitate the move beyond many private worlds to a common communicative world. James Mensch, After Modernity. Albany: SUNY, 1996. Robert Mugerauer, Interpretations on Behalf of Place. Albany: SUNY, 1994. Anthony Steinbock, Home and Beyond. Evanston: Northwestern University, 1995.